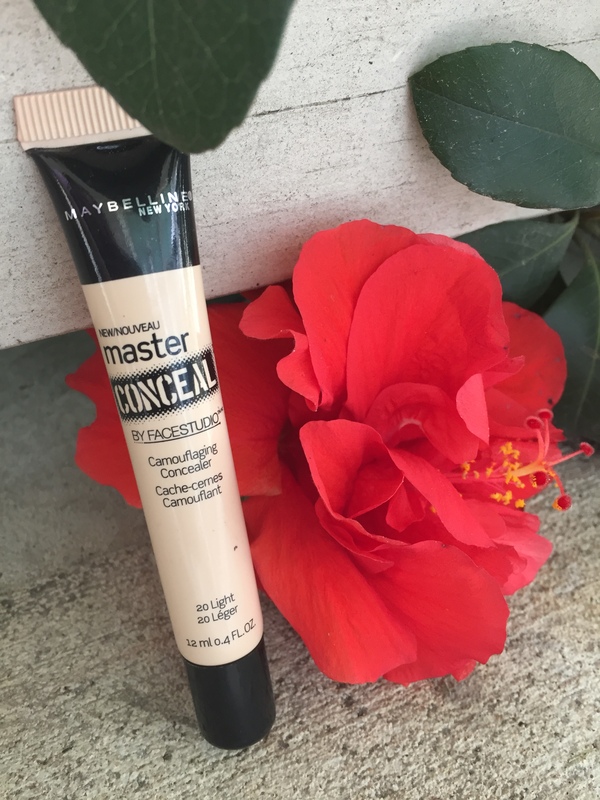 I’ve been hearing a lot of good reviews about this concealer, and I decided to check it out. 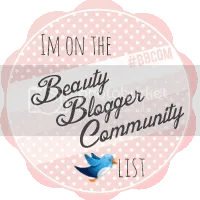 Until reccently I had been using Maybelline’s Fit Me Concealer, but I keep having problems with my little tube leaking and then getting all over my makeup bag, car, or wherever I happened to leave it. Good formula, but annoying packaging. So trying out the MasterConceal came at a perfect time. And I really do like this concealer. 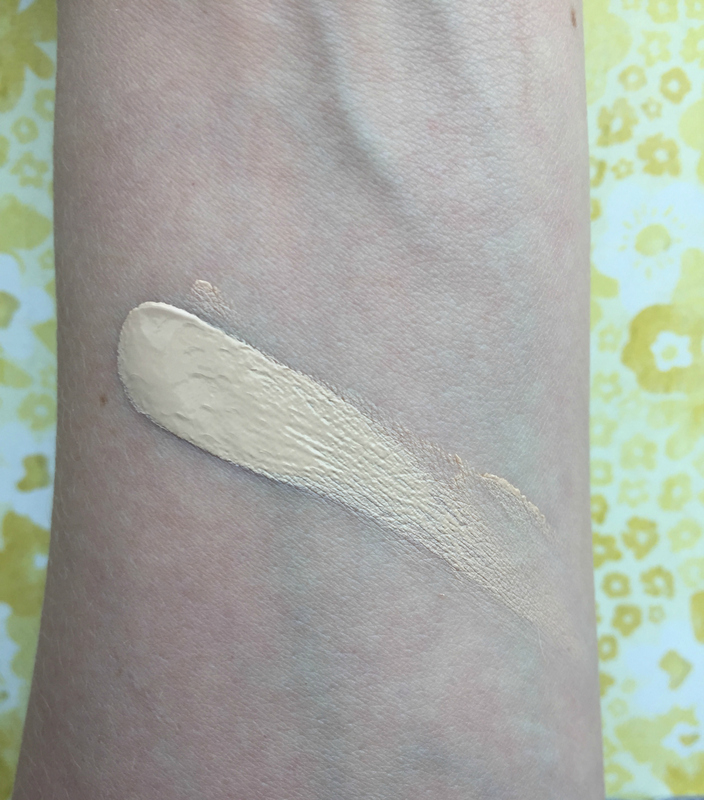 It’s got a more liquid consistency than what I’m used for for concealer, but it’s not too thick and it blends in very easily and smoothly. I haven’t had any issues with it looking cakey or fake, the light formula has made it great for summer. I like to use it under my eyes specifically, and I feel like it clings to my fine lines less than the Fit Me Concealer did. I got mine in Light, which works well for under my eyes. It needs a bit of blending for blemish covering. And it doesn’t leak! The little tube lid is very convenient for clean and easy application. So I think I have found my new summer concealer, is what I’m saying. And at around $8, it doesn’t have a bad price tag either. Good job, Maybelline! Ignore the glass’ label. That’s the Sculpin in there. I need to be honest: I have mixed feelings on spicy beers. I really enjoy them, yes. But I can usually only really enjoy them in small quantities. So while I really like Habanero Sculpin, finishing a glass is usually a giant feat for me. Just a disclaimer. That being said, this is a really solid spicy beer. And it’s probably the spiciest I’ve tried. Habarno vs. jalepeno in beer makes a huge difference. This starts out tasting like the delicious grapefruit and citrus flavors I know and love from regular Sculpin, but then all of a sudden this beer kicks you in the face with Habanero! The spicy, warmth of the pepper takes over the citrus notes, and danggggg my mouth burns. I’m pretty sure if you drank more than one bottle of this, you might spontaneously combust. Despite risk of fire, if you like tropical flavors and you aren’t scared of some burning heat in your beer, then you definitely need to try Habanero Sculpin. If you aren’t a big fan of spice, just stick with the regular Sculpin or Grapefruit Sculpin and you won’t go wrong. -How is your summer going? 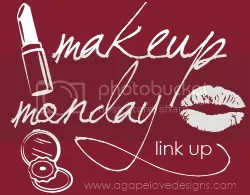 -Do you have a concealer or foundation you switch over to in the summer? -Thoughts on spicy beers? Do you dare it? See you guys this weekend with more posts! Really! I will not disappear again! 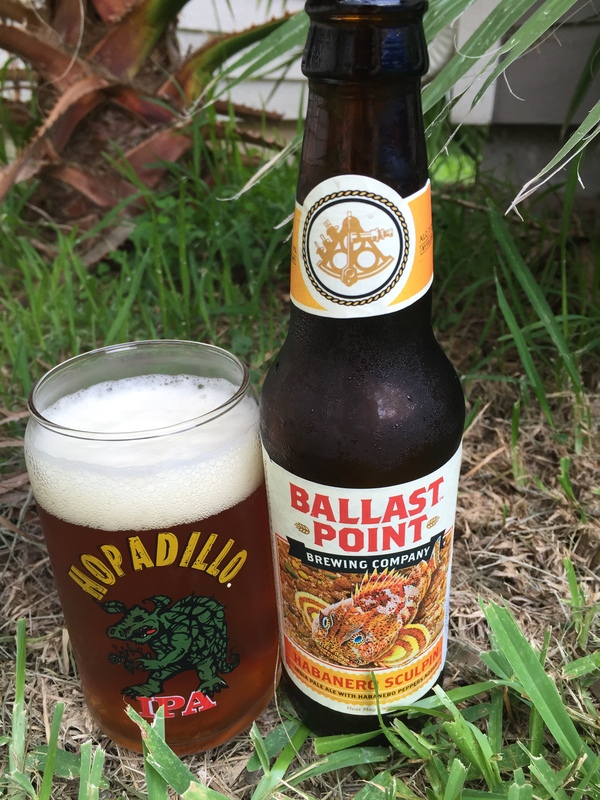 I love spicy anything, so it’s no surprise that I love Ballast Point’s Habanero Sculpin! I’ve done spicy beer flight tastings too, B and I really love them. I highly recommend trying a spicy hard cider, or other beers that have chipotle or milder spices to them. That way it contributes to the flavor without overpowering it! You’re definitely right about the milder peppers and spices, those are much more accessible. Especially when it’s with a darker or chocolate flavored beer. I still drool over Stone’s Xocoveza, that was the bee’s knees. I think it’s mostly jalapeno and habanero beers I have to consume in small quantities. And I always want Mexican food after I drink one. It’s a cause and effect issue. Yes, it should be on everyone’s beer bucket list! Like Kelly was saying in the comments, if you don’t like too much spicy start with a pepper less intense than a habanero. Some spicy beers have chipotle spice or milder peppers-and that could be a good starting place. 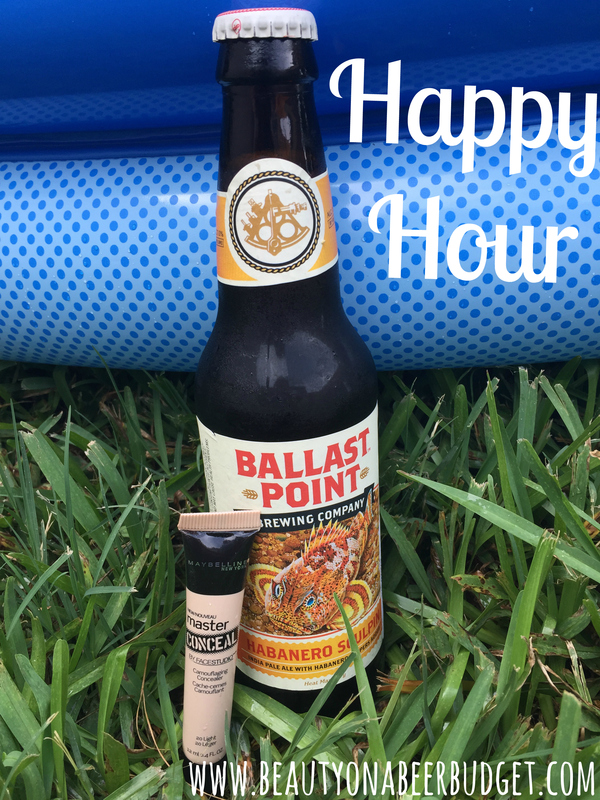 If you’re okay with spice there are some truly awesome jalapeno beers out there, and of course Habanero Sculpin! I’m so intrigued by the idea of a really spicy habanero beer but I bet the flavor of chipotle would mesh really well with beer. Can’t wait to track one down!